Sarum can supply a wide range of bespoke control panels, including bespoke restaurant control panels, to your individual specifications. Our HVAC systems engineers work with specifications from specialist consultants in the restaurant industry – so we have a sound understanding of restaurant building requirements. 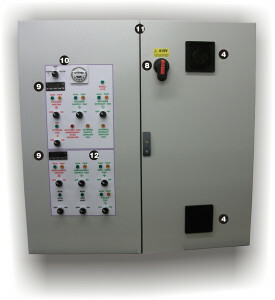 Our bespoke restaurant control panels come with a variety of optional components. Below is an example of a Sarum Electronics bespoke restaurant control panel, designed to provide a personalised HVAC solution to our client’s individual requirements. 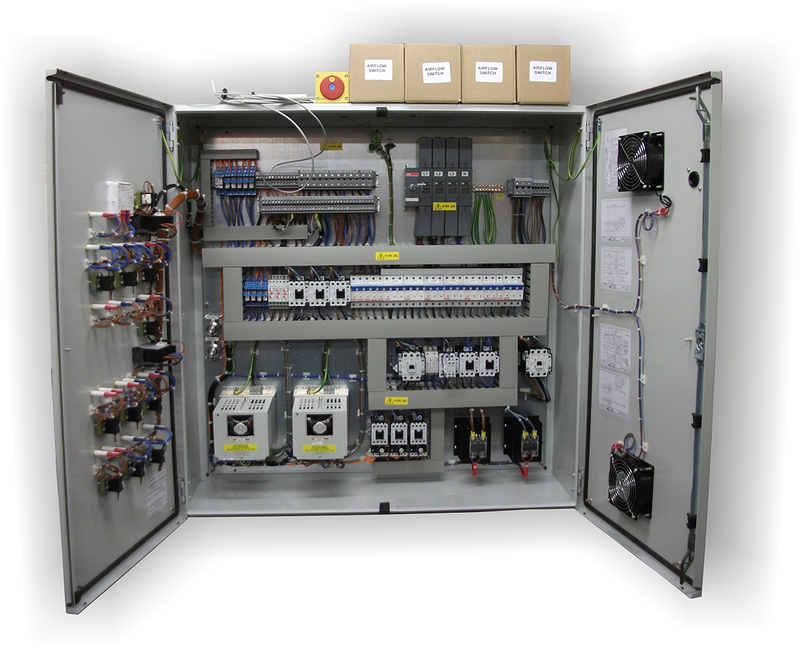 To enquire about our bespoke control panels, request a personalised quote or contact us. Thyristor heater controls fitted with substantial heat sinks to prevent overheating. Inverter speed controls. These are set up by the test department, for easier installation. Speed adjustment pots to control the inverters (these can be fitted to the panel facia or to a remote panel). Control panel ventilation fans, to prevent overheating of the control panel. Duct sensors. Controls are calibrated to the supplied sensors; sensors are left fitted to the correct terminals for easy identification. Loose supply emergency stop push button (special version supplied as per customers specification). Loose supply airflow switches and nozzle kits. Door interlocking isolator, to prevent anyone opening the control panel whilst it is still running. Digital thermostat, one controlling the kitchen heater and the other controlling the restaurant heater. Facia mounted 7 day time clock with hand/off/auto switch. Can be fitted remotely. Double door steel enclosure with removable gland plate for ease of drilling entry holes. Custom made labels for each control panel, which can include your company logo. Circuit diagram. In case the engineer walks away with the panel’s manual, a label of the circuit is attached to the inside of the door. Test and inspected label. 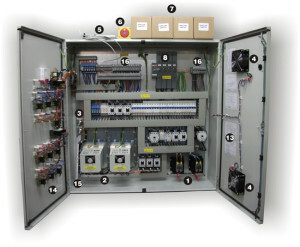 This includes date tested and panel’s full load requirements. Control panel manual. This includes a description of the controls package, fault remedies, installation instructions of loose items and the panel circuit diagram. Customer connection terminals, clearly marked with individual terminal markers, with high and low voltage segregated for safety precautions. Have a question about Sarum Restaurant Control Panels? Please fill out the form below and we will get back to you.